The US Global Peace Operations Initiative (GPOI) programme aims to build the peacekeeping capacity in UN Troop Contributing Countries. The Subject Matter Experts (SMEs) gathered in Monterey at the Naval Post Graduate School to work on updating courses for the next training year and adopt a new scenario for our exercises. Would love to say that the weather was warm and sunny – alas not the case. But some excellent social suppers. This entry was posted in Training on March 14, 2017 by Peacekeeper. Back to Stadtschlaining for another Protection of Civilian Course. The course is normally three times over-subscribed and priority is given to mission personnel, so great participation during the week. We tried a few new things and will improve further for the November Course. I took the Child Protection and the CRSV periods as well as most of the scenario work. Great team, as ever. 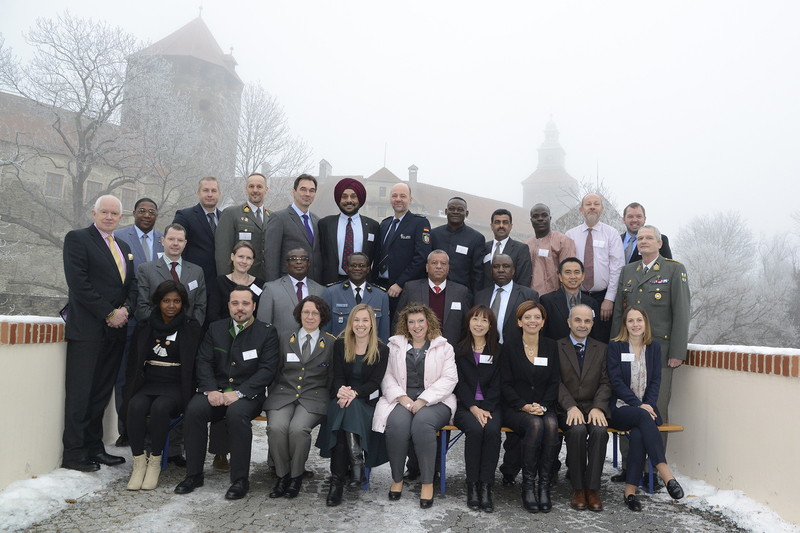 In Stadtschlaining to support a United Nations and European Security and Defence College certified Protection of Civilians (POC) course. 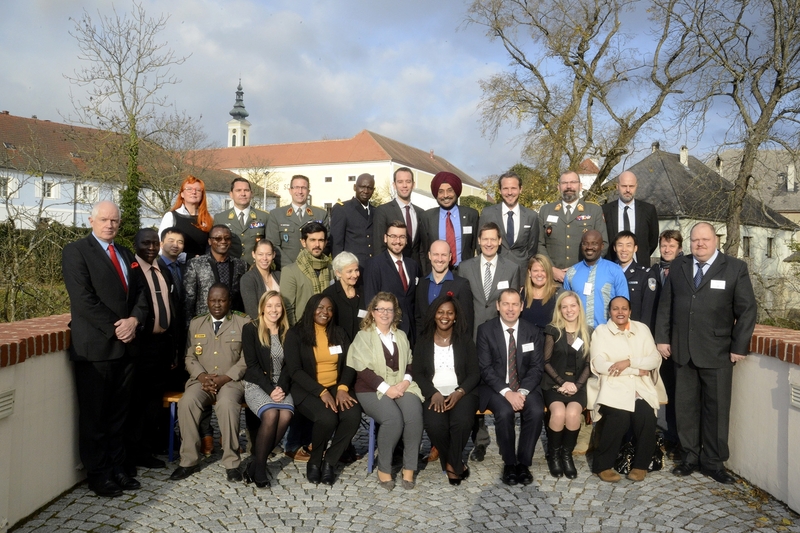 The course covers not only UN POC but also looks at developments in NATO and the EU. 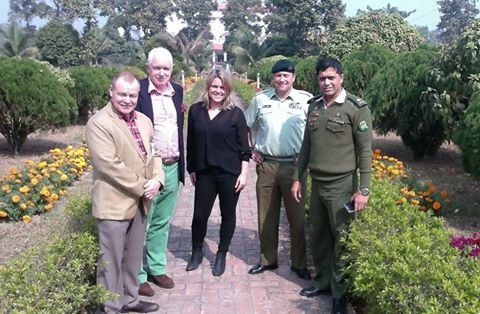 Great to have participants from Missions and the humanitarian sector and facilitators that included Lt Gen (Ret’d) Jasbir Lidder (former UN Force Comd and DSRSG) and staff from DPKO New York. This entry was posted in Training on November 21, 2016 by Peacekeeper. Role playing the humanitarian actors in NATO expeditionary scenario in the fictitious area of Eiba. 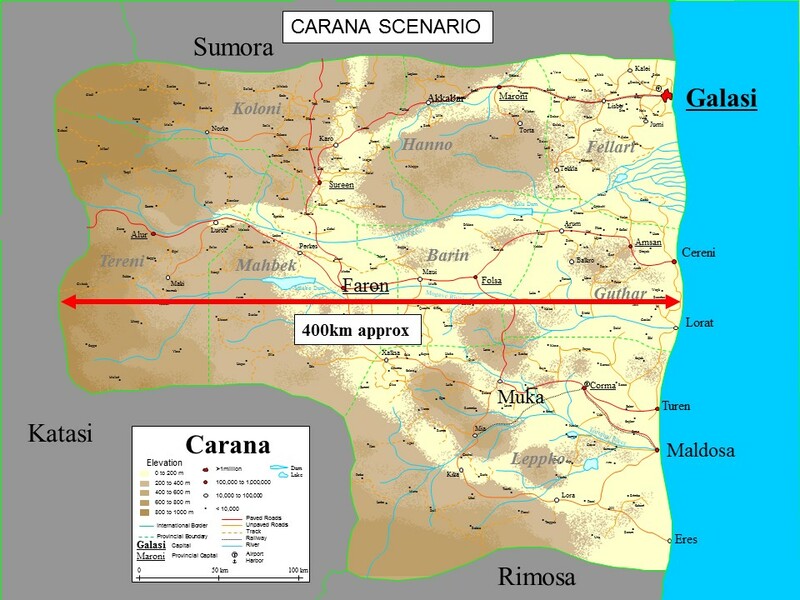 The topography is similar to Sudan and South Sudan, there are IDP camps, spoilers against the peace agreement and a wet season – so lots of moving parts. 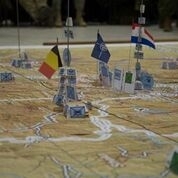 A good chance to catch up on NATO doctrine and think about the CM Coord role. This entry was posted in Training on October 28, 2016 by Peacekeeper. 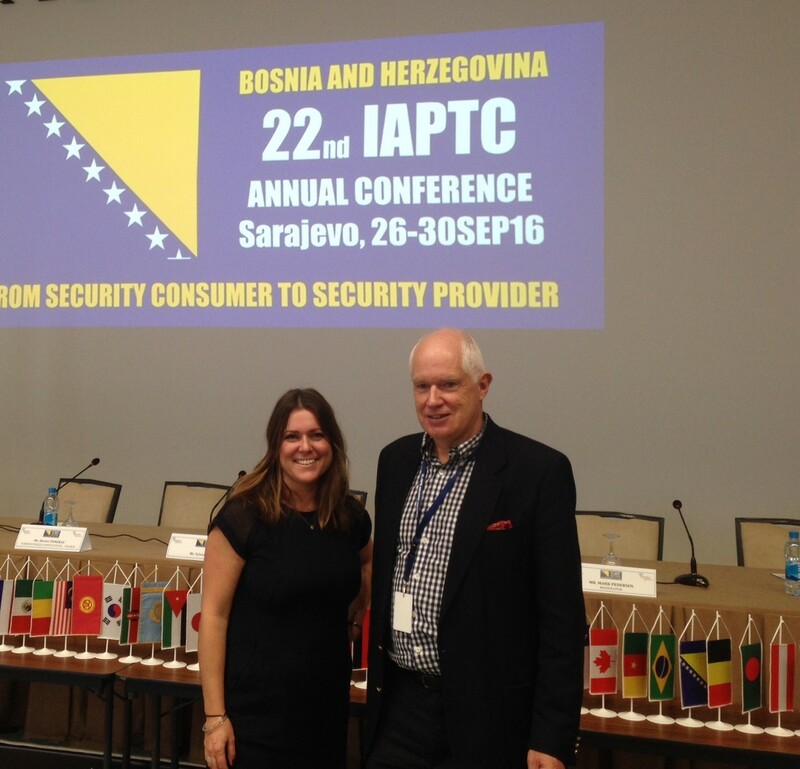 With fellow trainer, Lotte Vermeij, at the IAPTC in Sarajevo. Well done to PSOTC BiH for hosting and making a splendid job of it. Some great insights from the key speakers, table time with the UN Integrated Training Section, and seeing friends from the training institutions. Last but not least, for me, walking in the hills above Sarajevo. Within the margins of the IAPTC, I was able to make a small contribution to the development of the new Core Pre Deployment Training Material (CPTM) and the UN Police Child Protection specialised training material. Back home to create a new UN Integrated Mission organisation chart. This entry was posted in Training on October 7, 2016 by Peacekeeper. Working on the UN Scenario for peacekeeping training, updating the OpOs etc so that they reflect the changing nature of peacekeeping, new threats, new technology like Unmanned Air Vehicles (unarmed). Not sure when the products may get utilised but good to keep going forward. Our peacekeepers deserve the best training that we can give them. 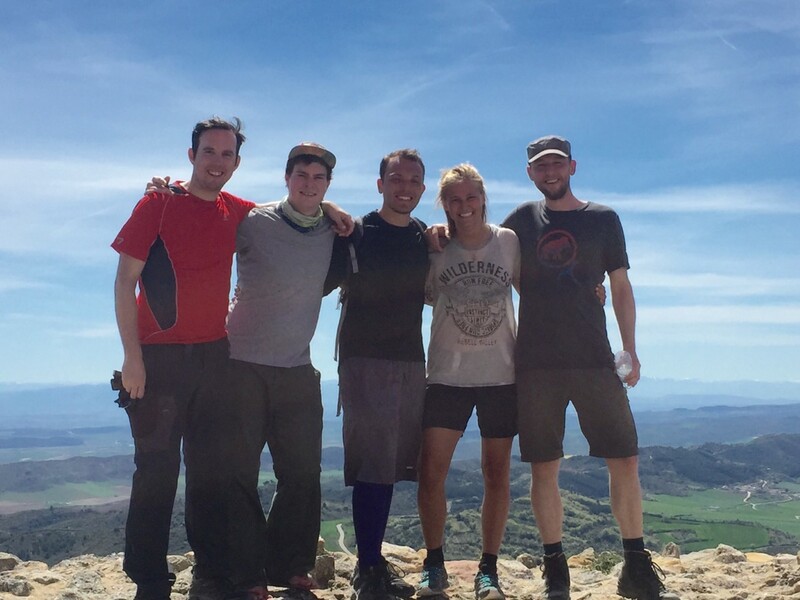 Not my team but the great guys (Australia, South Africa, USA, Sweden, Germany) with whom I walked part of the Camino. A time to reflect but also to marvel at the energy and enthusiasm of the youth of today. Each day is about 20-25km with your rucksack and then at night you sleep in dormitories – sometimes 6 to a room, others about 40 people? Three weeks being part of the Grey Cell supporting a NATO Ex for a rapidly deployable Corps. The Grey Cell represented Local Authorities, the President, Chief of Army, Ambassadors, SRSG, humanitarian agencies and many other roles for interaction with the training audience. This entry was posted in Training on March 23, 2016 by Peacekeeper. Apart from visiting different countries and enjoying interactions with the participants, working with other facilitators is also fun and rewarding. The picture shows the team at BIPSOT, Bangladesh. We were running a Protection of Civilians Training of Trainer course for about twenty instructors. My second visit to BIPSOT and you could not imagine a more helpful and welcoming place. This entry was posted in Training on February 1, 2016 by Peacekeeper. This entry was posted in Training on November 23, 2015 by Peacekeeper.